Reza Madadi returns to Superior Challenge. 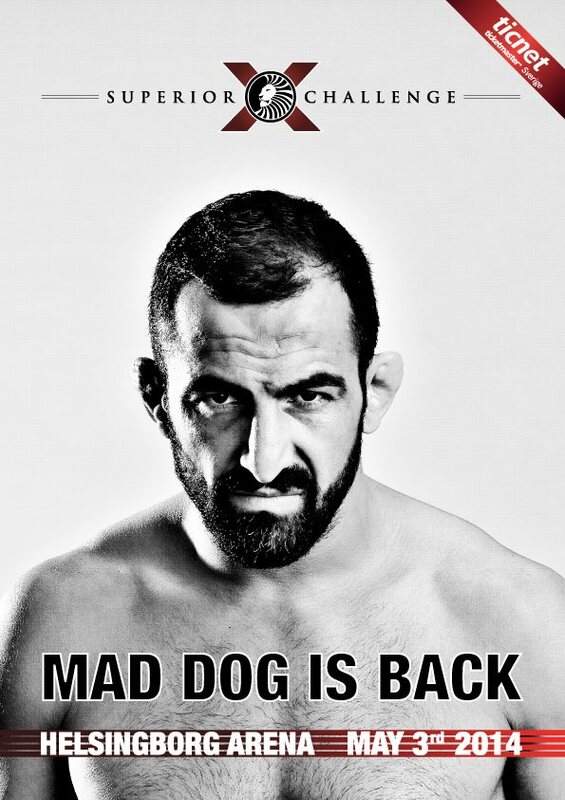 The Sweden based promotion announced the return of “Mad Dog” today. The 33 year old had a successful run in the UFC going two wins and one loss. His only loss was seen by many to be a victory over Cristiano Marcello, which was a split decision back in October of 2012. Madadi’s last bout was his most impressive of his career as he stopped American Michael Johnson with a submission in round three at the UFC in Sweden last April. Madadi was released from the UFC after allegations over involvement of a smash and grab came to light. The Iranian born fighter was sentenced to 18 months prison time, but has since appealed this decision and is awaiting a next court date. Madadi is a mainstay of Superior CHallenge, where he as on the first seven cards before being called to the UFC. The Allstar Training Center fighter won the Superior Challenge lightweight title by defeating Rich Clementi in a very competitive and entertaining match match back in April of 2011. While no opponent has been announced, there ongoing rumor is that it could be Anton Kuivanen. Madadi challenged Kuivanen to a bout after the Finn beat his teammate Diego Gonazalez at Superior Challenge 9. The promotion says that it will announce Madadi’s opponent “soon”.